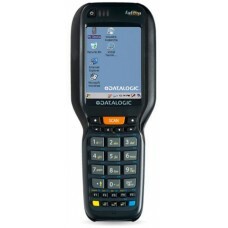 Datalogic Falcon X3+ - Wi-Fi (802.11a/b/g/n), 2D Imager Scanner with Green Spot, Pistol Grip, Windows CE 6.0, 256MB RAM/1GB Flash, 52 key Alphanumeric Keypad, Bluetooth, Standard Memory, QVGA Display. Interface cables and charging cradle sold separately. Tags: Datalogic Falcon X3+ - Wi-Fi (802.11a/b/g/n), 2D Imager Scanner with Green Spot, Pistol Grip, Windows CE 6.0, 256MB RAM/1GB Flash, 52 key Alphanumeric Keypad, Bluetooth, Standard Memory, QVGA Display.